I made a bunch of these sweet little satin flowers this past week as gifts for Ella's teachers, and I was oh so pleased with them! They look so pretty, but are surprisingly affordable. The flowers were only about $0.25 to make but can be used in so many ways. 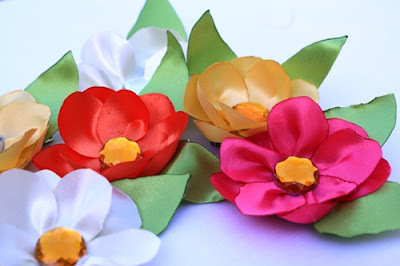 Head over to DIY...Your Way to check out my tutorial for these Simple, Yet Spectactular, Satin Flowers and see how you can use them.